Nyssa Baechler, pictured above with her favorite hiking partner, Jax, was born and raised in Homer, Alaska. She received a Masters of Marine Affairs from the University of Washington. Nyssa will be working for the U.S. Geological Survey based out of Anchorage. One of her projects involves working with the USGS’ fisheries group to help process lab samples over the winter and assist with their energy-density studies in Cook Inlet. “I am very interested in research regarding the impacts of climate change on salmon habitat, range, and survival. I want to pursue a career where I can work with people to help and educate individuals and communities dependent on fisheries to adapt to changing ocean, coastal, and environmental conditions due to climate change and the potential shifts or changes in subsistence resources,” said Baechler. Marguerite Tibbles comes to us from University of Alaska Fairbanks with a master’s degree in Fisheries. For the last three years, Marguerite conducted research on Arctic estuarine habitat from Kotzebue in conjunction with the National Park Service and the Native Village of Kotzebue. Her fellowship is based at the North Pacific Research Board where she will be working on analyzing the impacts of NPRB’s research across the state. Tibbles may also develop manuscripts as an overview of the methods and techniques NPRB uses to conduct broad-scale research across Alaska’s marine environments. “Throughout the course of my master’s studies, I got to learn a lot about applied fisheries techniques but took few courses in policy. Policy is an area that I am particularly interested in because it is an avenue to affect change. I am hoping that through this experience I will have the opportunity to observe how marine policy in Alaska is done, and determine if this is a course I would like to keep following for my future career,” Tibbles said. Alicia Schuler is currently finishing her master’s degree in Fisheries from UAF. She is studying humpback whale movement and behavior in response to whale-watching vessel traffic, as well as potential conservation benefits of whale watching. Her fellowship has her working at the Protected Resources Division of NOAA Fisheries Alaska Region. Her main focus will be the Whale SENSE and Ocean Guardian programs. “The enthusiasm the schools and the community have shown already for this program is contagious, and I think this program has the potential to create positive change and encourage the behavioral changes needed to reduce single-use plastics in the community and ultimately marine debris in the ocean,” Schuler said. She is also hoping to gain exposure to regulatory processes including Marine Mammal Protection Act and the Endangered Species Act. Diana Perry, born and raised on the East Coast, has been placed with NOAA’s Auke Bay Lab. She graduated with a master’s degree in Marine Affairs from the University of Washington. She is working on an aquaculture project, focusing on weathervane scallops. “This is a novel project at this facility, so I am very excited to be part of starting something new and working to get it off the ground.” Diana’s research interests include how the changing climate is affecting fisheries and how management must adapt. “Working with my fellowship supervisor, we have been able to work in some of my long-term interests into the aquaculture project,” Perry said. Kayla Schommer, born and raised in Anchorage, has spent her last three years working with the Alaska Department of Fish and Game, Division of Subsistence, while also studying for her master’s in Marine Affairs from the University of Washington. Kayla is the first Alaska Sea Grant fellow to be dually appointed during her fellowship. She is working as a communications fellow for the Alaska Sea Grant and as the Alaska harmful algal bloom coordinator for the Alaska Ocean Observing System. “I’m also excited to visit new parts of my state I have never seen before,” she added. 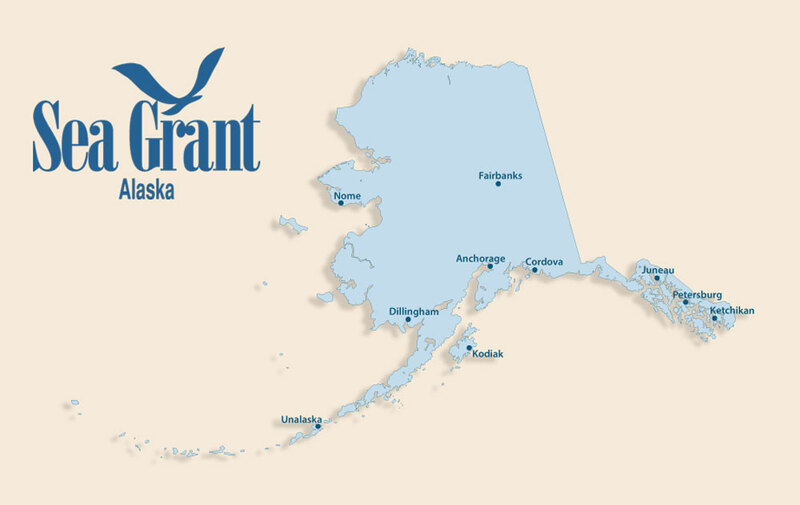 Learn more about the Alaska Sea Grant State Fellowship and other opportunities here.